When your home or business is damaged by fire, the damage can be devastating. Fires are incredibly destructive and often multi-faceted, leaving physical damage from the fire itself, and residual damage from smoke and soot. 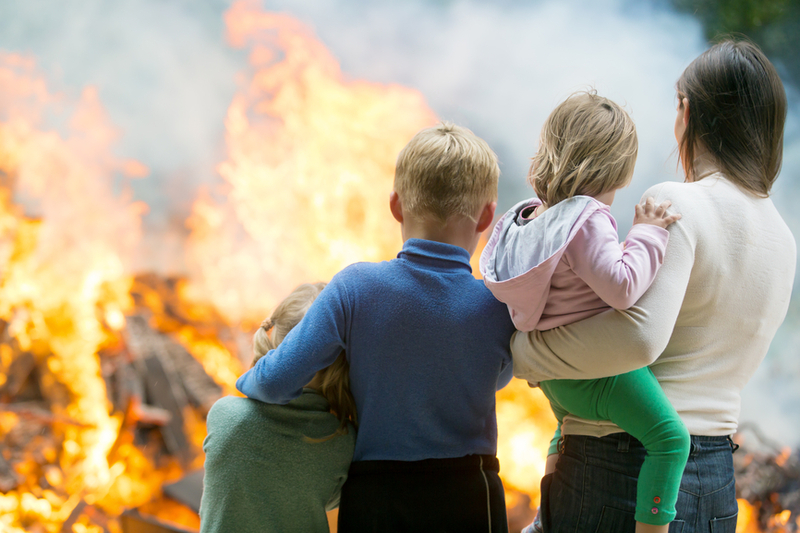 When fire disrupts your life, call Stretch Cleaning & Restoration to evaluate the loss and handle the restoration of your property to it’s pre-loss condition. As IICRC Certified and trained professionals we understand the frustrations and trauma that fire damage causes home and business owners. We are qualified to properly evaluate the loss, test damaged materials, select the optimum restoration alternative, coordinate with insurance professionals, and ultimately, to restore property and contents to a pre-loss condition. You should contact a certified restorer as soon as possible after the fire to prevent additional damage from smoke and soot residues. The longer the delay, the greater the damage and the more likely permanent damage may occur, requiring items to be replaced. Our technicians are fully trained and experienced in fire and smoke damage restoration and can answer any questions you may have about the restoration process. Stretch Cleaning & Restoration provides fire damage restoration services to all of Long Beach Island and the nearby mainland. We provide emergency response for any fire or water damage emergency, and are available to respond 24-7 when disaster strikes.